Located off the eastern coast of Phuket, the Koh Yao Noi islands are known for their reefs, wrecks and easygoing atmosphere. Get away from the bustling beaches and resorts on Phuket with this one-way transfer from Bang Rong Pier to Manoh Pier. 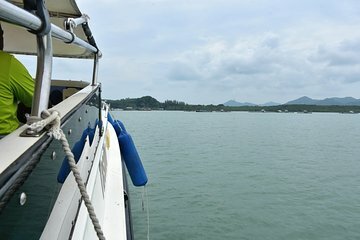 Speed across the Andaman Sea in a little under an hour, maximizing the amount of time you can spend diving, swimming and sunbathing on Koh Yao Noi.